Shrinking Defense budgets and strategic uncertainty combine to risk depleting the national security industrial base to the point where key contractors might no longer be counted on as vital links in the Pentagon’s supply chain, says a coming study. The paper, “Sustaining the U.S. Industrial Base as a Strategic Asset,” will be released Wednesday on Capitol Hill. What is needed, Watts writes, is a clearer strategy from the Office of the Defense Secretary to simplify the “core competencies” expected from the shifting array of shareholder-owned companies that for decades have made up the industrial base. 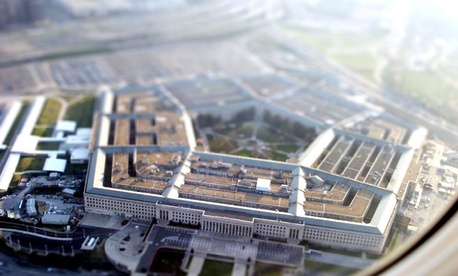 This would require a “detailed mapping of the industrial base,” a task that the Pentagon OSD’s Manufacturing and Industrial Base Policy office embarked upon several years ago, but which has yet to bear fruit, in large part because “there’s no agreement across services,” Watts said. Such mapping should include paying attention to industry design teams and the supply chains, he said. The list “of what should be kept for the long run” should be short, Watts added. “If a company has 50-60 or 150 core competencies, you can’t focus, so it probably needs to be in the single digits,” Watts notes, taking the core competencies concept from an influential 1990 Harvard Business Review paper. Large-scale system and network architecture integration. The absence of a strategy for maintaining the industrial base harmed the United Kingdom’s military in the late 1990s, Watts said, when it had to bring in the American company Electric Boat to catch up on building its Astute-class submarine, at a cost of $1.2 billion and a four-year delay.